Fully-Guided Tour of Iceland. 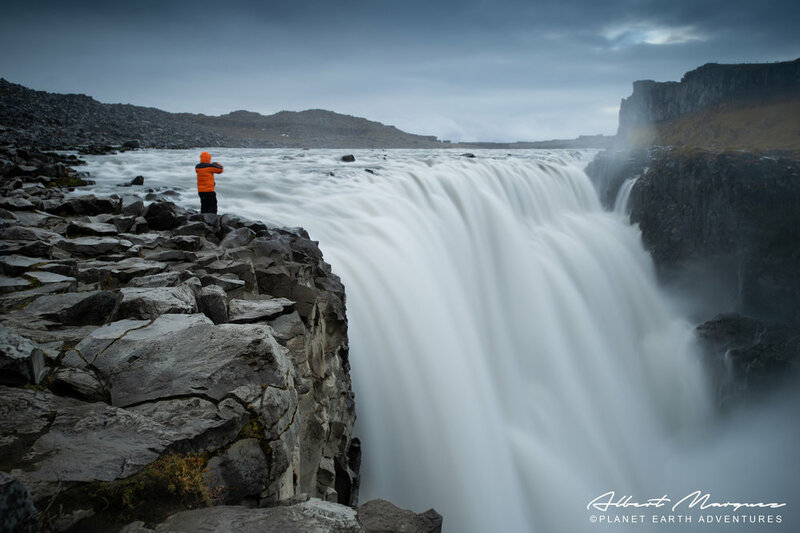 Explore the natural beauty of Iceland on our small group guided tours. Travel from Reykjavík to the most popular Icelandic landmarks such as Jökulsárlón Glacier Lagoon and Lake Mývatn, as well as those on the South Coast. On this 10-day tour you will see the most espectacular places in Iceland. 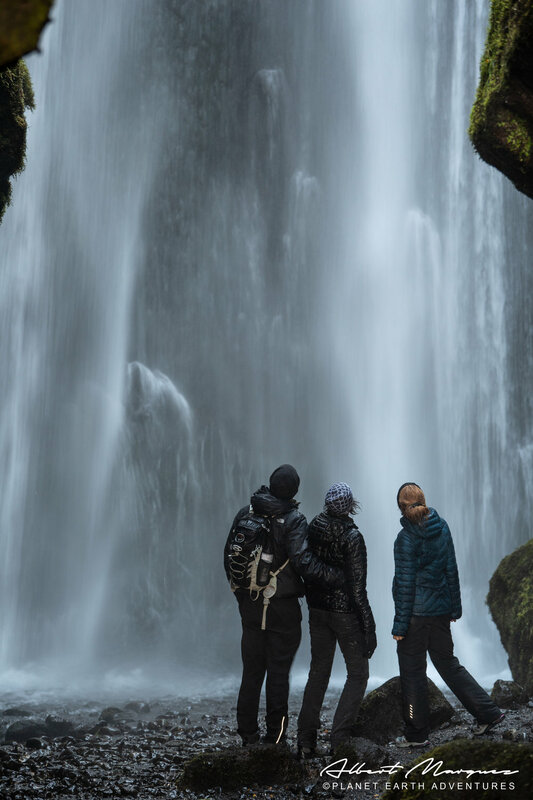 Experience everything from magical waterfalls and volcano craters to a whale watching boat tour on Eyjafjörður Fjord and hiking through fabulous scenery to great Icelandic waterfalls. 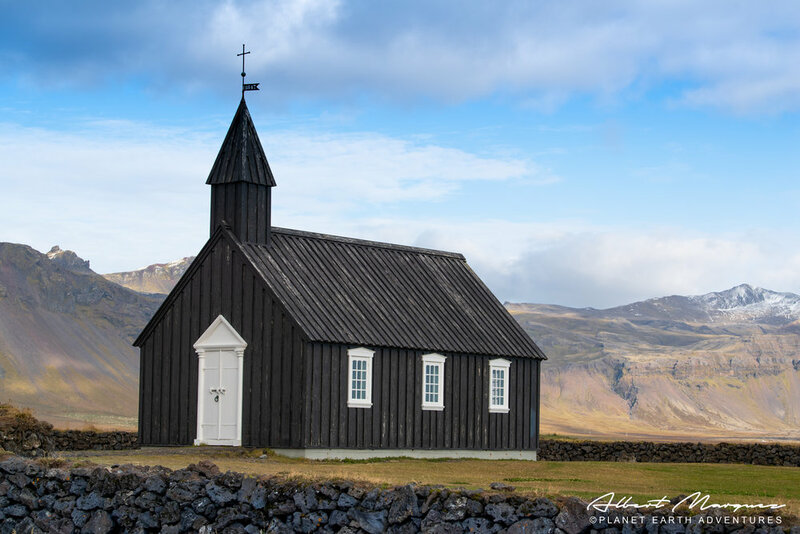 You will travel the whole of the famous Ring Road (Highway 1) and Snæfellsnes Peninsula, stopping at the most spectacular waterfalls in Iceland, Dettifoss, Goðafoss, Gullfoss, Seljalandsfoss, Skógafoss and Hengifoss to name a few. Each day will end with a possible display of the Northern Lights, although they can never be fully guaranteed, travelling around Iceland at this time of year provides the best chance of spotting their incredible and colourful display. Circle Iceland on the Ring Road, one of the best road trips in the world. Explore the famous Golden Circle route, including hot springs and cascading waterfalls. 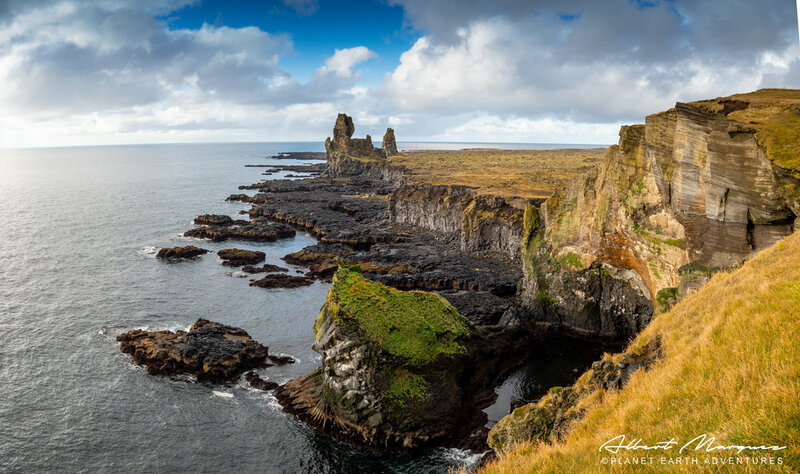 Photograph the jagged basalt columns & sweeping black sand beaches. 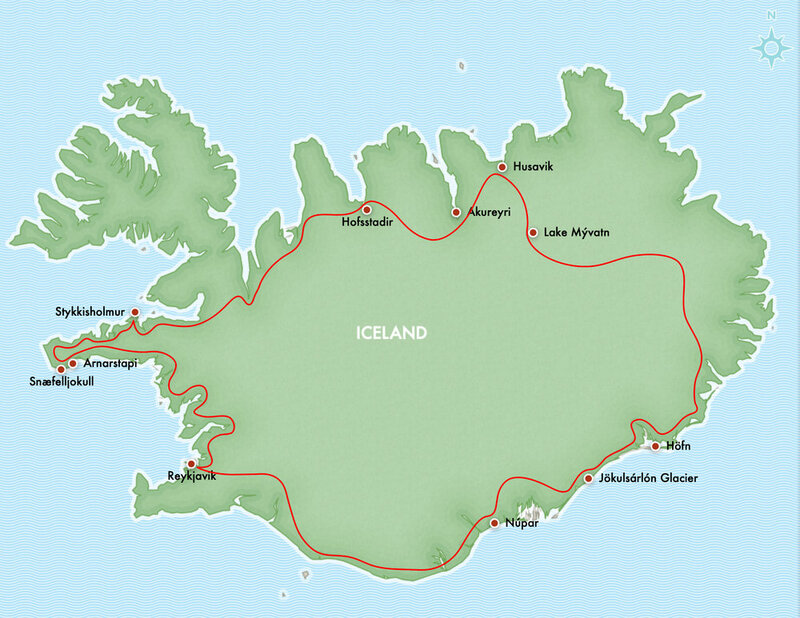 Visit Snaefellsnes, Myvatn, Jokulsarlon glacial lagoon, Skaftafell and Thingvellir National Park, Geysir, Gullfoss. See glaciers, waterfalls, volcanoes & lakes. Day 1: ARRIVE IN ICELAND: On arrival at Keflavik International Airport, you will be greeted by a driver who will transfer you to your hotel in the city center of Reykjavík. After settling in, the rest of the day is free for you to explore the vibrant capital city with its abundance of museums, restaurants and bars to suit all tastes. 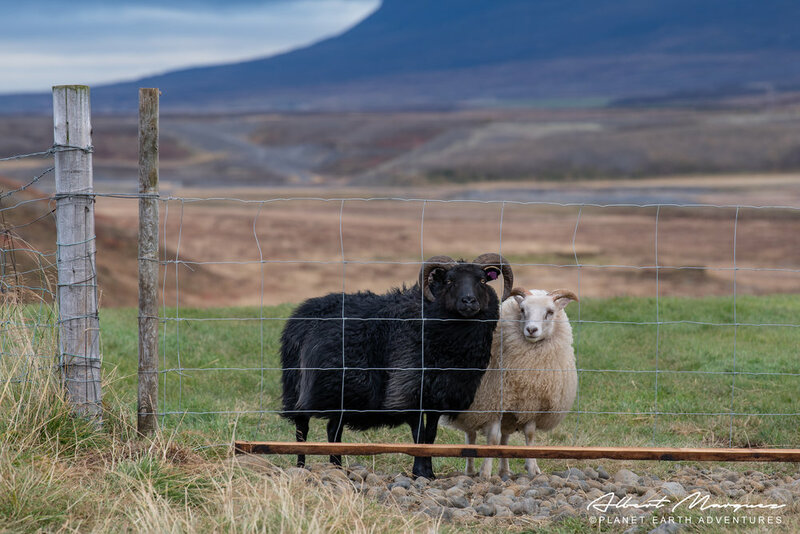 If you're interested in checking out Icelandic design or experiencing the city's thriving coffee culture, head to the main street, Laugavegur, and enjoy its various shops and cosy cafes. Overnight in Reykjavik. Day 2: THE GOLDEN CIRCLE: This morning, your guide will meet you at the hotel and you will head to Þingvellir, a National Park which has been nominated as a UNESCO world heritage site. Next, you will visit the great Geysir area with its spouting geysers and colourful hot springs. The tour will continue to Gullfoss, the golden waterfall, where you can see white water thrash and tumble down two-tiers. 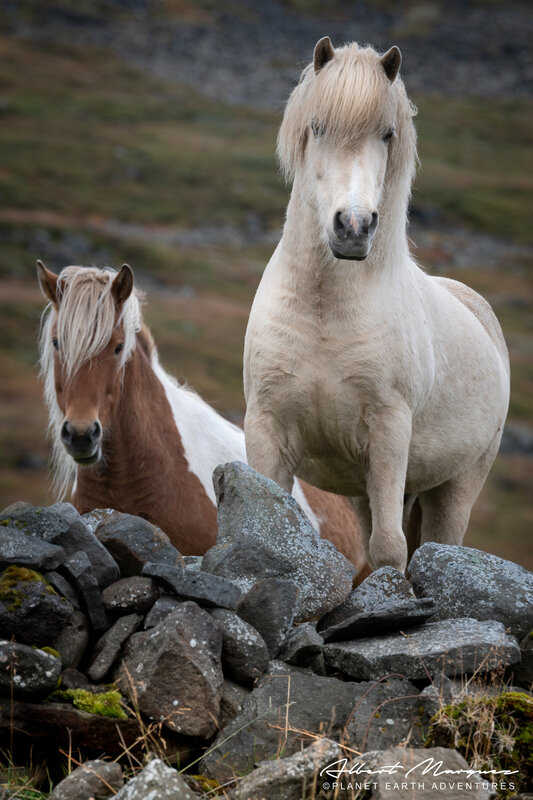 Along our drive, we will also meet Icelandic horses, famous for their diversity of gaits, strength and good spirit. End the day with dinner at the hotel, with an amazing view over the Ölfusá river. Spend the night at Hótel Selfoss or similar. Day 3: VOLCANOS, WATERFALLS AND BLACK SAND BEACHES: This morning you and your fellow travellers will learn about Iceland‘s unique geology. You will visit the Lava Centre, an interactive exhibition about Iceland’s volcanic activity, its frequent earthquakes and how Iceland evolved over millions of years. The next leg of the tour is along the south coast, below the majestic volcano Eyjafjallajökull. You will stop at the fairytale-like Seljalandsfoss waterfall, where you can walk right behind the misty cascade, and the gorgeous 60-metre high Skógafoss waterfall. 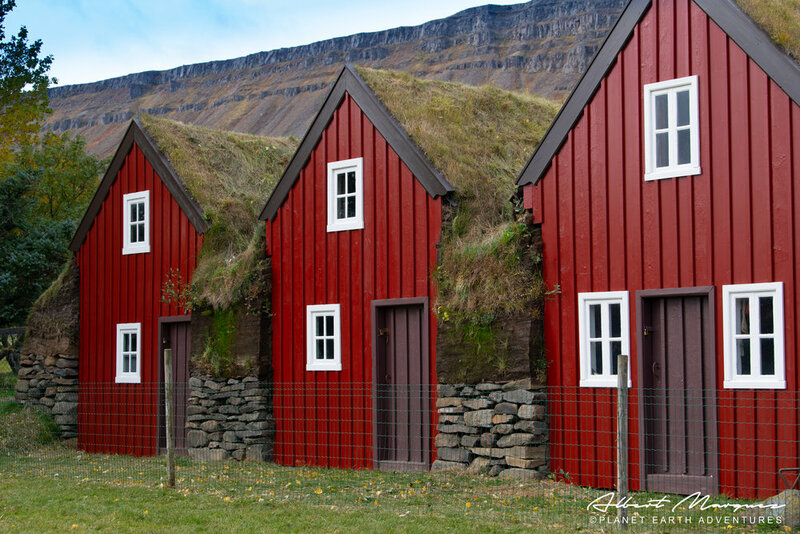 At Skógar, we will stop at the charming Skógar Open Air Museum, a cultural heritage collection including turf houses. Further ahead at the village of Vík, we will visit the black volcanic beach south of the village, from where you can view the rock formations Dyrhólaey and Reynisdrangar. Next, our journey continues to our charming accommodation in Kirkjubæjarklaustur. Spend the night at UMI hotel or similar. Day 4: SKAFTAFELL AND JÖKULSÁRLÓN GLACIER LAGOON: Today’s drive takes us to some of Iceland’s most photogenic attractions, including a visit to the beautiful Skaftafell area of Vatnajökull National Park, named for Iceland’s largest glacier. 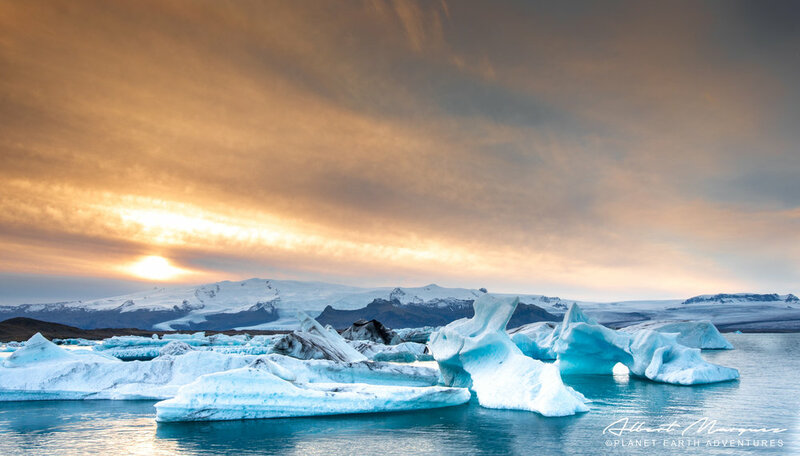 Next, the journey continues to the well-known Jökulsárlón glacier lagoon, where we will sail among the floating icebergs on a guided amphibian boat tour*. 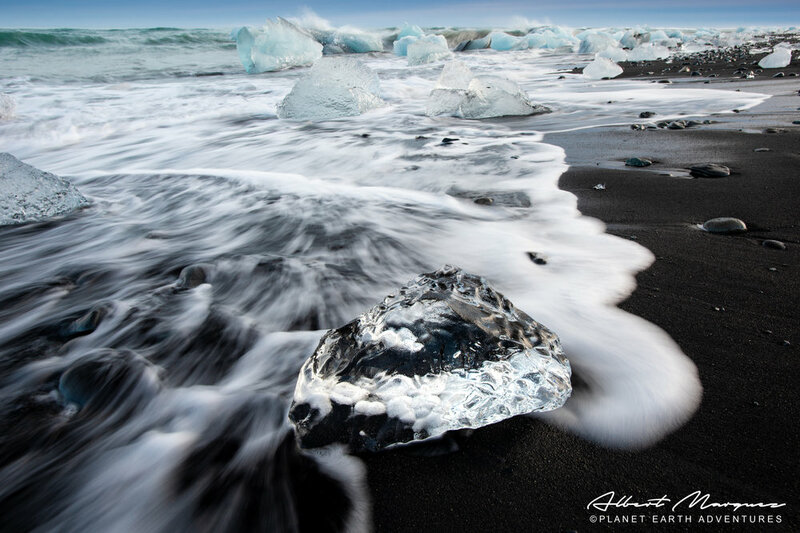 Next to the glacier lagoon we will stop at the Diamond Beach where you will see big chunks of ice that have washed up on shore after being polished in the surf of the glacier lagoon. After our ice experience at the glacier lagoon, we will stop for some homemade ice cream before driving along the majestic East Fjords on our way to our next accommodation. Spend the night in Fosshotel Nupar or similar. Day 5: EAST FJORDS, LUNAR LANDSCAPES: This is a long day with a lot of diverse sights! Today’s scenery in East Iceland includes tranquil fishing villages, narrow fjords, rugged tundra and sweeping landscapes. After reaching North Iceland, prepare to be amazed by the roaring Dettifoss, Europe’s most powerful waterfall. There is a 1 km walk from the parking lot to the waterfall on a gravel road, definietly worth the trip. Next we will explore the natural beauty of Lake Mývatn and its lunar landscapes with visits to the Námaskarð pass, the lava formations at Dimmuborgir and Skútustaðagígar pseudo craters. This is a great day for geology enthusiasts! 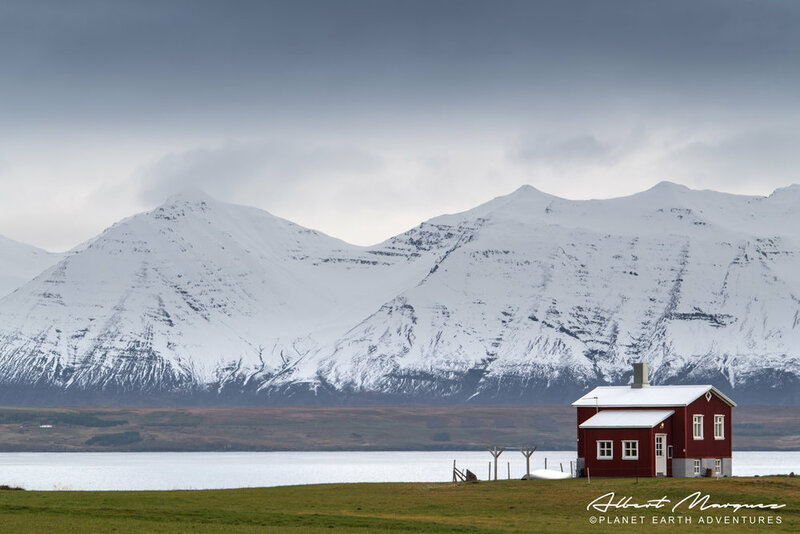 Our journey ends in the seaside village of Húsavík, known as “Europe’s Whale Watching Capital." Spend the night at Fosshótel Húsavík or similar. Day 6: ÁSBYRGI, HLJÓÐAKLETTAR & LEISURE TIME: We start the day by driving to Jökulsárgljúfur National Park where we will visit the horseshoe-shaped Ásbyrgi canyon, which according to legend was formed by a footprint from the Norse god Odin's eight-legged horse. The next natural wonder on our list is Hljóðaklettar, the „echo rocks“, which are a collection of great basalt columns lying in every direction to create unique formations arched caves that are known to create eerie echoes and reverberations. There we will do a short hike to explore the area. In the afternoon we will return to Húsavík, where you can enjoy the rest of the day at your leisure. For those who are up for more adventure, this is the perfect spot to join a whale watching tour from Húsavík habour. Tonight, dinner will be on your own this evening in the village and there are several restaurants to choose from. Spend another night at Fosshótel Húsavík or similar. Day 7: HIGHLIGHTS OF THE GREAT NORTH: Leaving the Húsavík area today, our first highlight of the journey is Goðafoss, (the waterfall of the Gods), one of the most picturesque waterfalls in Iceland. We will then make our way to the charming town of Akureyri, where we will take a stroll in the heart of the city centre. You will have some leisure time to explore the town on your own and grab a lunch, before we head to our next stop. Next, the tour will drive around Tröllaskagi, where you can enjoy fantastic views of beautiful mountains, cliffs and fjords. 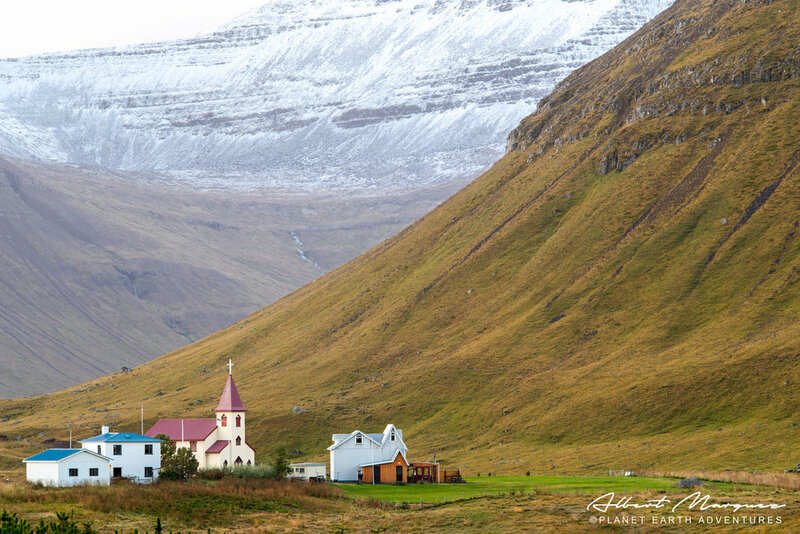 We will make a stop in the scenic Siglufjörður, which was once the centre of Iceland’s herring fleet. Here, we will visit the Herring Era Museum and taste some local treats. 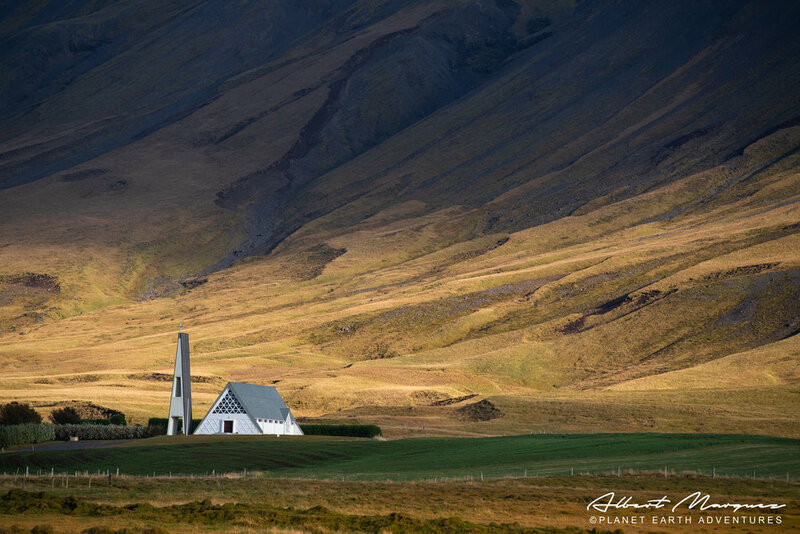 The journey continues to the tranquil farmlands of Skagafjörður. Spend the night at Hofsstaðir Guesthouse or similar. Day 8: GEMS OF THE WEST COAST: Today we will drive through Skagafjörður, towards the Snæfellsnes peninsula. 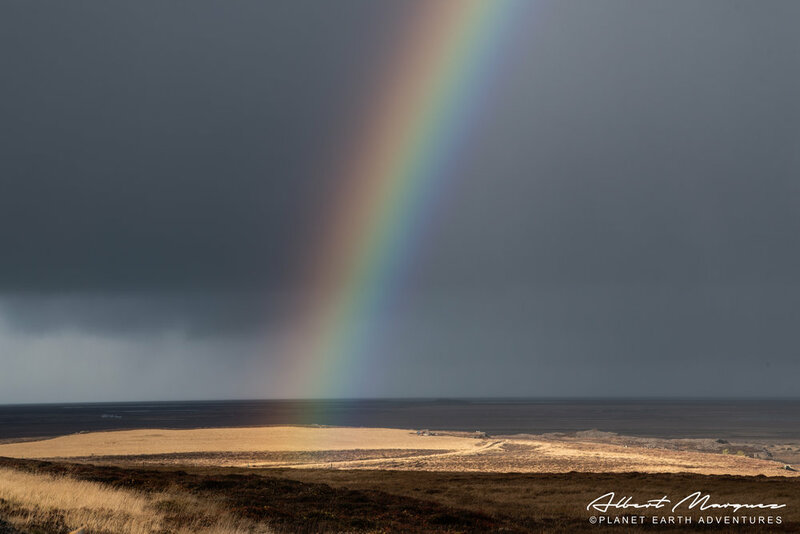 This is a scenic drive on a beautiful stretch of Iceland. 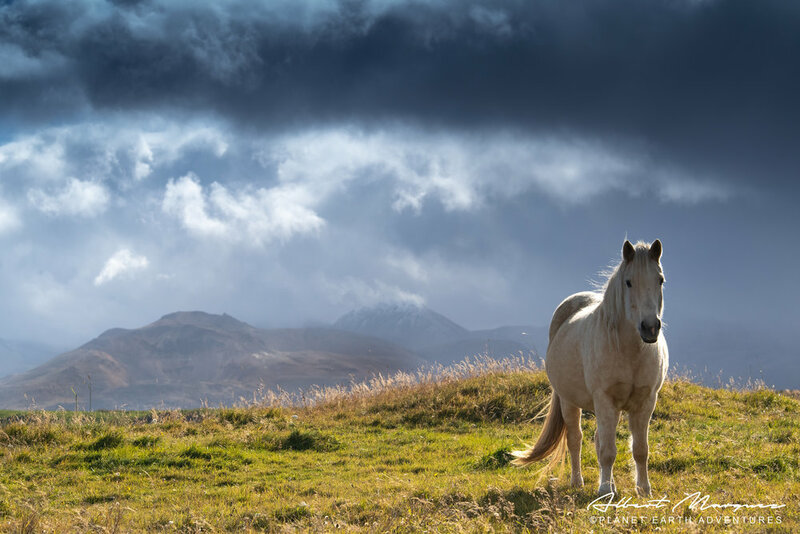 Your guide will pass sweeping farmlands of the northwest that are dotted with Icelandic horses. You will also get to see spectacular views of the islands of Breiðafjörður just before reaching Stykkishólmur in the early afternoon, where you will have time to explore on your own. You also have the option to partake in Viking sushi adventure, where you will sail around the islands of Breiðafjörður and sample delicious fish straight from the sea (optional; not included)*. Spend the night at Hotel Fransiskus or similar. Day 10: DEPARTURE FROM REYKJAVIK: When it’s time for your Iceland adventure to end, you will be picked up from the hotel for your airport transfer by a shuttle bus about three hours before your flight. If you’re flying in the afternoon, you have the option to visit the Blue Lagoon geothermal spa to relax in the warm mineral waters before continuing to the airport (optional: not included). ABOUT THIS TOUR: Adventure travel is exactly is as its name implies, an adventure! Although every attempt is made to adhere to these itineraries, participants need to acknowledge and willingly accept the unexpected route and itinerary changes due to factors beyond our control. Please keep in mind that due to Iceland’s extreme and fast climate changes, we reserve the right to change/alter the route of the tour. WHAT IS INCLUDED & WHAT YOU NEED TO KNOW : Transportation, lodging, transfers and baggage handling and meals as indicated on the itinerary. All rates are per person in U.S. dollars based on shared occupancy. Single supplement is $975US dollars for this tour. Tour does not include air transportation to and from Reykjavik from your gateway city or any optional tours, food, drinks and entrance fees to attractions that are not included in the cost of this travel package unless stated otherwise in the detailed itinerary. In cases where dinner or lunch is included, alcoholic drinks are not included and must be paid for separately. The northern lights is a natural phenomenon, and therefore cannot be guaranteed, but this itinerary is designed to maximize your chances to see them if weather allows. Please note that this tour is dependent upon weather and road conditions, and might be altered if conditions are not favorable. In the event of major changes to the tour, you will be notified and we will do our best to make sure that your experience will not be affected. LUGGAGE INFORMATION: To ensure comfortable seating for everyone on our tour, we need to limit the size and amount of luggage on the van. Each guest is allowed one suitcase or large bag that can be stored in the back of the van and one smaller item (e.g., a small backpack or daypack) to keep inside the van for daily essentials like camera, wallet, medications and so forth. Unfortunately carry-on suitcases (cabin bags) are too large to store inside the van. If you have any questions about luggage your Planet Earth Adventures travel consultant will be able to assist you. ACTIVITY LEVEL: EASY: Guests should be able to walk short distances on uneven ground. Trails surfaces vary from paved to uneven natural terrain. Tour participants must be able to walk a short distance and be able to get in/out of the tour vehicle with minimal assistance. Any optional hikes taken on this tour will change the difficulty level of this tour. Our optional hikes vary from easy to strenuous. SAFETY, DAYLIGHT HOURS & WEATHER CONDITIONS: Please note that this tour is dependent upon weather and road conditions, and might be altered if conditions are not favorable. In the case of major changes to the tour, you will be notified and we will do our best to make sure that your experience will not be affected. TRAVEL INSURANCE: We strongly suggest purchasing trip cancellation/interruption insurance to protect your travel investment at the time you sign up for one of our trips. This coverage will offset cancellation charges in the event of illness before or during your trip. Trip cancellation/interruption and baggage insurance is available at a supplemental cost. Click Here to purchase travel protection. Your credit card may offer basic travel insurance or emergency travel assistance if you use it to book travel or accommodation although the coverage is usually very limited. Check with your credit card provider to see if you are covered and what benefits are provided. CANCELLATION POLICY: We consider the deposit non-refundable at the time of reservation; however, Planet Earth Adventures will try to be flexible in the event of a cancellation. Please read our cancellation policy thoroughly. A credit card is required to make your reservation online. Your card will be charged when you book your trip. We require at least 90-day written notice for cancellations. Experience the radiant powers of geothermal seawater. Relaxing. Rejuvenating. Unforgettable. the package includes: Entrance to the Blue Lagoon, Silica mud mask, use of towel, 1st drink of your choice. Marvel at a wonderland of ice on this short and easy Glacier Walk in Vatnajökull National Park. See natural wonderlands like ice sculptures and deep crevasses as you traverse this surreal landscape. We will be happy to book this activity as an add-on to your tour. During the excursion you sail among the huge icebergs in the picturesque scenery of Jökulsárlón. On the boat you get to taste the 1000 year old ice and if you are lucky you might even see some seals. The excursion takes 30–40 minutes and includes an English speaking guide who explains to you the geology and facts of the lagoon.